I Am Super Excited About This Painting! 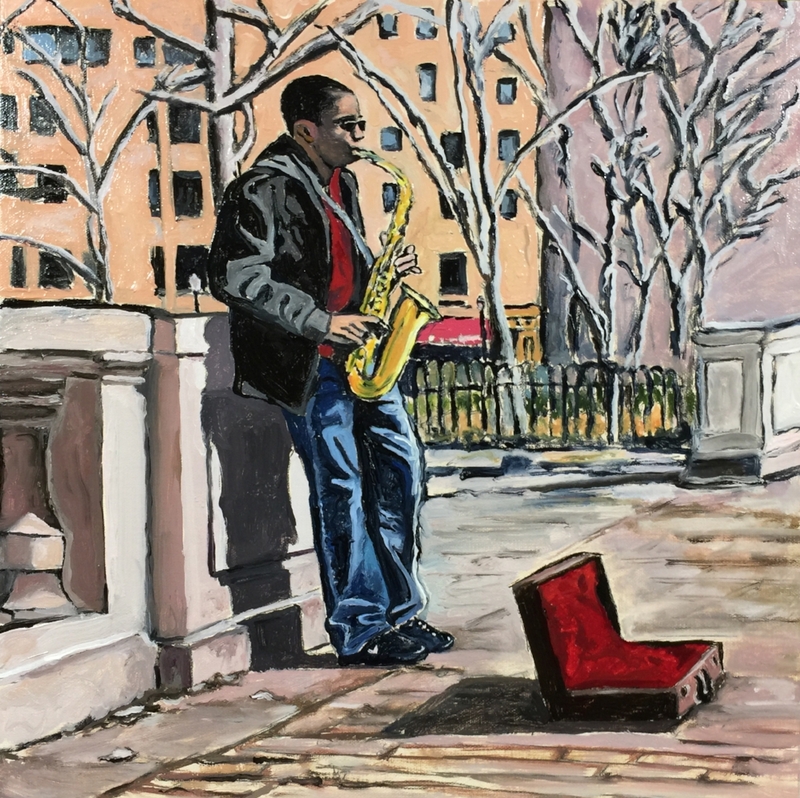 As many of you know, the musician in this painting reached out to me to acquire the painting after he saw a sketch of it online. I have to thank the photographer Jonathan Yu, for bringing us together and taking the awesome image that served as my reference photo for the painting. Making this painting was a great experience for me, because the musician got to see the painting develop through all its stages. I promised him I would complete it within a month. And, yay, I did it. Yesterday, I posted the completed painting on my FB Page and I am so happy — his reaction was "Wooooow, I love it!" Well, I love that he loves it! I have to say, I had so much fun making this painting. It makes me feel so good that my work is reaching folks and contributing to them, a sense of fun and joy. It has been an honor to complete this painting, and I thank this young musician for his talents and his appreciation of supporting local art. Today, more than ever, we all need to appreciate one another. Thank you for reading this post. I appreciate your time and attention.